Whether in the air, on the road, or between classes, Logitech PowerShell™ Controller + Battery opens a new world of mobile gaming. Add the precision of analog controls -- d-pad, buttons and shoulder triggers -- to your iPhone 5 or iPod Touch (5th gen) and free up the touchscreen for a full view of the action. Even more exciting, this is not the only game controller to consider this holiday. I expect one from Belkin at anytime. The POWERSHELL will be featured in Apple's online store, giving this category of product a great deal of credibility. I'm not much of a gamer, and will likely, never review this product. What games I play are on the iPad. Somehow, I doubt Candy Crush is ever going to get game controller support. Okay, I admit it. I have a problem. Candy Crush addiction aside, that is not the only game not supported. What you have to realize is that these are early days. The hardware has leapt ahead of developer support. Though the frameworks are baked into iOS 7, there is no substitute for game developers coding for specific hardware. These controllers are just starting to hit the market. It will be a while before a large number of titles are supported. I suspect there will be a big push for supported titles as the holidays approach. 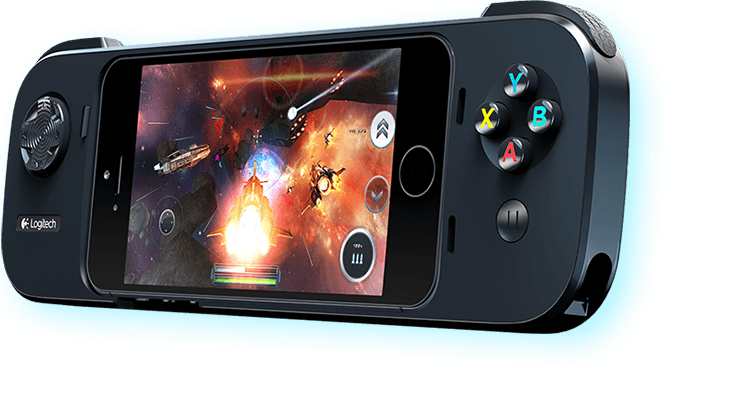 For $99, you will get a game controller built for your 4", iOS device. It has triggers, face buttons, shoulder buttons, and all the stuff console gamers seem to care about. I don't even know what any of that is. But, people who are in the know say it's pretty good. Additionally, it has a built-in battery for charging your iPhone or iPod touch. I suspect that playing intensive, high-end games for long hours can really take its toll on a battery. With the POWERSHELL, you don't have to worry about that. iOS gaming is already huge. Now, there is a new reason for Sony and Microsoft to look over their shoulder buttons.